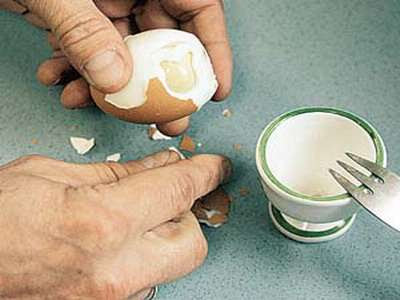 Two Russian journalists from the Pravda Newspaper in Moscow conducted an experiment in which they cooked a raw egg using their mobile phones. If this experiment is real, it could finally be the visual proof people need to understand that mobile phones really are dangerous. 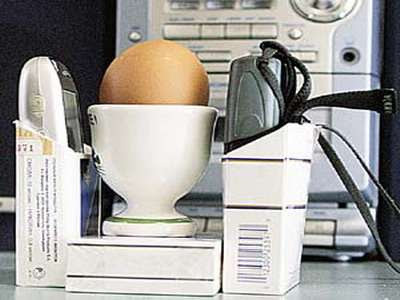 Andrei Moiseynko and Vladimir Lagovski strapped put two phones on either side of a raw egg. They got the phones to call each other and placed a tape recorder near by to ensure the phones wouldn’t go off due to a lack of sound. After only 15 minutes, the egg felt warm due to the radio waves, within 40 minutes it was “very hot,” and after just 65 minutes, it was actually cooked… although I don’t know who would risk ingested anything cooked like this. If these findings really are true, imagine how our mobile phone talk time has slowly fried our brains and our nuts. Is it Real or just a Hoax?? Luckily its just a hoax otherwise we would had cooked our brains and nuts. In fact a UK based science show called Brainiac tried to boil their egg with 100 mobile phones but what they ended up with was a cold undone egg. Check out the video clip below.